REDUCED PRICE $1,000 off standard rate for our last remaining week of 2017 (Aug 19 - Aug 26.) Was $5,250, NOW $4,250. Act Fast to Get This Deal! 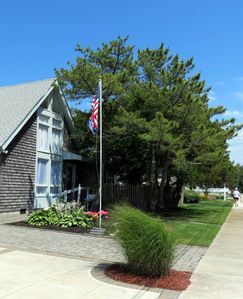 This is a typical Avalon upside-down, bay-front family house. 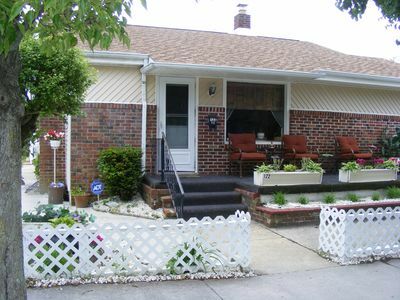 The house was built in the 1960s, is fully air-conditioned and has been lovingly maintained as a family vacation retreat without loosing its unique character and charm. 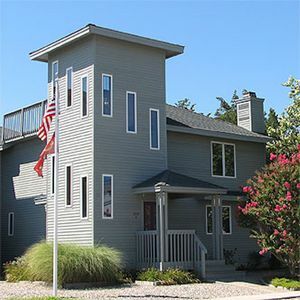 Facing Yale Harbor on the East and Bluefish Harbor on the West, cool ocean breezes flow through the second floor living area and beautiful sunsets cast a golden glow at the end of the day. The dock has 2 deep-water boat slips and is great for swimming, sailing, kayaking, crabbing, fishing and all kinds of boating and water sports. 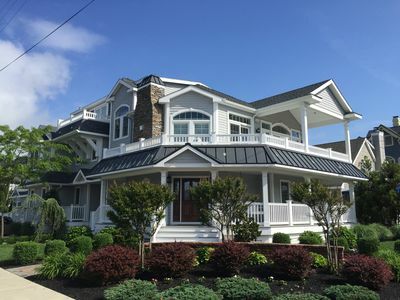 If you are a boater, you will be delighted with how close you are to some of the best back-bay fishing along the Jersey shore, as well as easy access to the ocean. 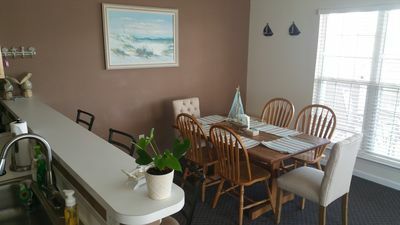 In addition, the house is within easy biking/walking distance to beach, tennis courts, playgrounds, resort-town activities, shops and restaurants. 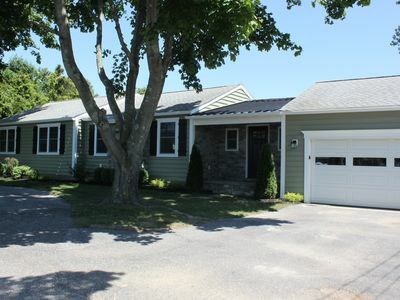 The dock, ample back yard and 4 car driveway are for your use only. 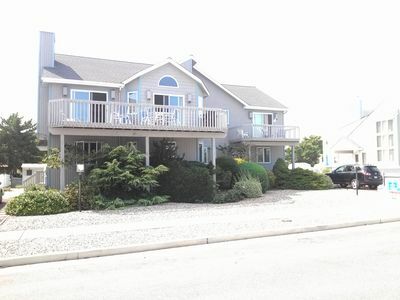 The house 3,000 sq ft house offers a perfect setting to create summer family vacation memories. There are five bedrooms (two kings, two with two twins each, one queen) and four full baths. 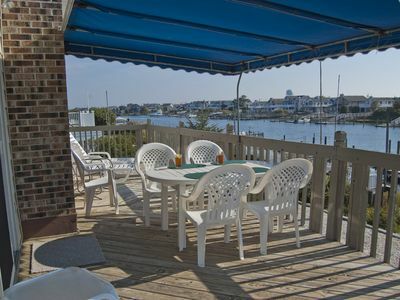 The second floor living area is encircled by decks to offer spectacular bay views. The well-equipped kitchen is strategically placed between the family room and the living/dining area. The large airy living room provides expansive views of the water and the dining area comfortably accommodates 10 people. There is a queen-sized bedroom and full bath off the quiet end of family/TV room. 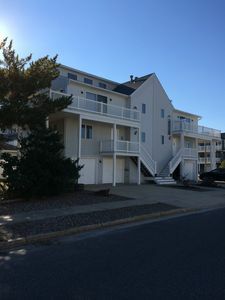 The first (ground level) floor includes a master bedroom (king bed) with eastern exposure has a furnished screened porch, a separate sitting room and a full ensuite bathroom. There are 3 additional bedrooms; one with a king bed and ensuite bathroom, two with two twin beds each, sharing the hall bathroom. Each bedroom has a ceiling fan, high quality, comfortable mattresses and a selection of pillows and blankets. (Bed and bath linens are not included.) There are 3 TVs on the first floor, two on the second floor – all with full cable service. 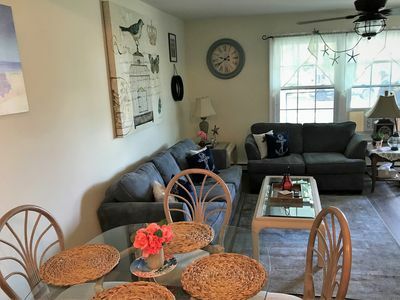 Wireless internet service, 5 full cable TVs, whole-house air-conditioning, complete laundry room, outside shower and a large back yard complete the package! Our home is available by the week(s) (Saturday to Saturday rentals) beginning in June and through September 2015. 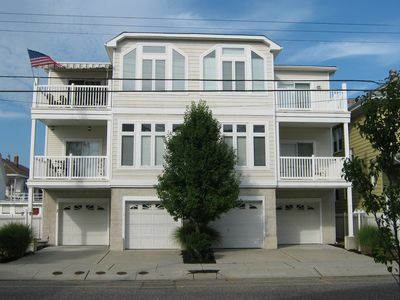 Keywords: House, Bayfront, Boatslips, Sleeps 10, Swimdock, 4 baths, 5 bedroom, deep water, air-conditioned. 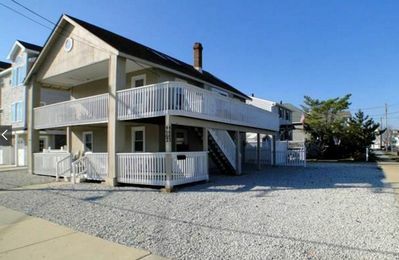 Two Story Charmer just steps from both Beach and Bay in the ❤️ of Avalon!! Custom Home Beautifully Decorated w/many amenities! 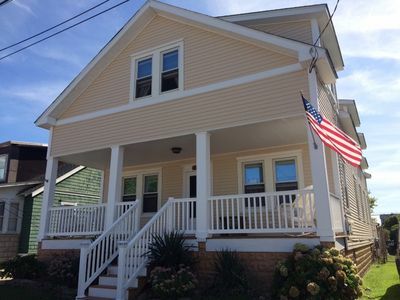 Newly renovated beautiful corner property with cozy beach vibe.